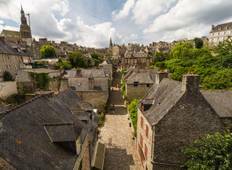 Find the right tour for you through St Malo. 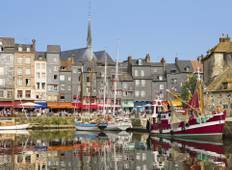 We've got 16 tours going to St Malo, starting from just 3 days in length, and the longest tour is 16 days. The most popular month to go is May, which has the most number of tour departures. "First off, I was in the hospitality industry for years, which can be a bit of a curse,..."
"It would have been nice to have more time at Checonceau, but the overall tour was..."
"The dinner the first night was awful; good appetizer & dessert but the main dish..."